For the better part of last year I was in that horrible cycle of waking up every day, getting dressed and not being so thrilled with what I saw in the mirror or how my pants were fitting me, about 7-8 pounds heavier than I wanted to be and tight, in case you’re wondering. Everything still fit, just snuggly and I sure didn’t have nearly as much bathing suit confidence as I’ve had in the past. So this January, among millions of others, I decided to get myself back on track. Except, I’m inpatient and loathe the term “resolution” so I started on December 27th. These tips below, they’re what work for me. To be honest, I’m being even more strict with myself than just these 5 Tips to Stick with Healthy Eating, I’m counting macros as well but that’s a pretty specific to your body type and activity level kind of thing so I won’t even venture into that arena right now (or ever probably). 1. Find your motivation and plaster the heck out of it around your house. This may be the only time I will ever encourage a selfie, but hey, want to look like you did 2 years ago when you had your ish together after that paleo challenge you did with your CrossFit box (I may or may not be talking to myself here), well stick that picture on your mirror, fridge, computer screen, wherever you can to keep you motivated. 2. Forget the phrase “go big or go home” for the time being. In other words, don’t be drastic. I talked about this in my paleo challenge recap a couple of years ago, but making drastic changes to the way you eat is usually not the most sustainable approach. Are you a gluten-loving, sweets fanatic? Paleo is probably not the best approach then. Small tweaks and changes to your eating habits can add up to a big difference over time and chances are you’ll be much more likely to stick with those changes than a one-time drastic approach. 3. Get rid of the junk. Think of it like spring cleaning, except for your pantry. If junk isn’t around to tempt you, you can’t eat it, can you? If you’re able to resist the box of Oreos in the pantry every time you open it, well go you. I’m not that strong of a person. This is a simple case of setting yourself up to succeed versus setting yourself up to fail. Poor food options in your face 24/7 just make succeeding a lot harder than necessary. 4. Celebrate the things you love. Instead of thinking about everything healthy you hate or everything you can’t have, think about what healthy foods you love and eat the heck out of them. 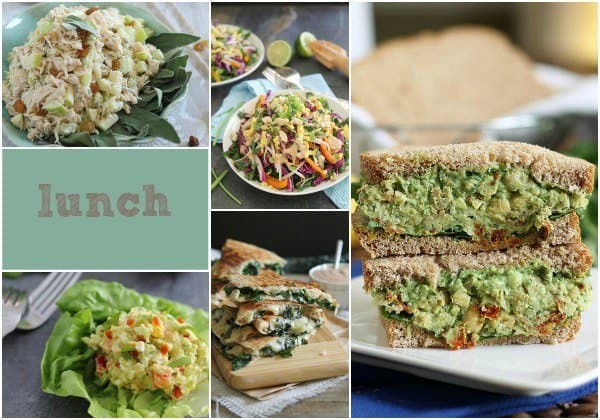 If you’re not a salad person, there’s no need to force salads down your throat every day just because they’re “healthy”, there are plenty of other healthy options out there. 5. Plan. I find the thing that can throw me off my healthy eating game plan faster than anything is poor preparation. This is everything from having protein options stocked in my freezer for dinner to knowing a menu at a restaurant beforehand to having good healthy lunch options when there are no leftovers in the house. Lunch can really throw me sometimes, soups like Progresso™ Light, salad greens, yogurts and even deli meat are great options. Soup is a wintertime favorite for it’s warm, comforting effect. 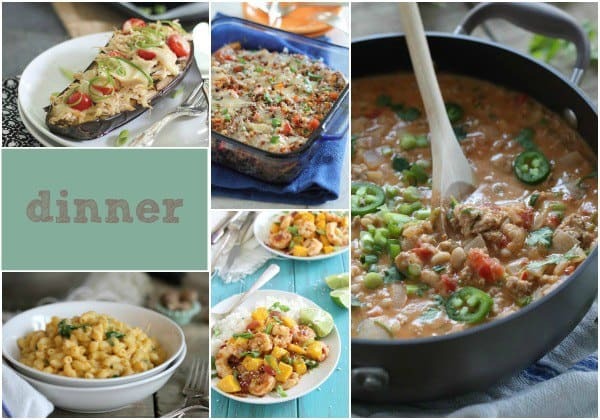 Healthier options like Progresso’s™ Santa Fe Style Chicken (love the spice!) or one of their other 40 flavors are definite go-tos this time of year for me. In the winter, I want warmth and comfort so there’s no point trying to shove salads down my throat when my body is craving something else. That’s an easy way to quickly get derailed. Give into the craving, just find healthier options to satisfy it with. Progresso™ Light soups are perfect for that. 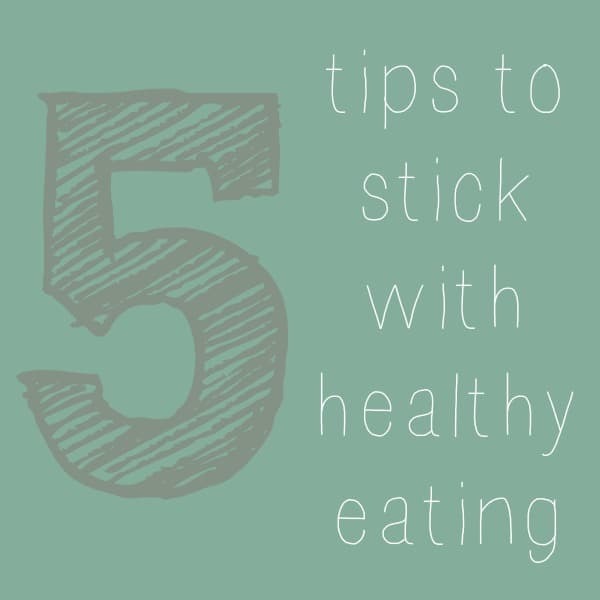 Along with these 5 Tips to Stick with Healthy Eating, I wanted to give you guys some recipe inspiration, too. 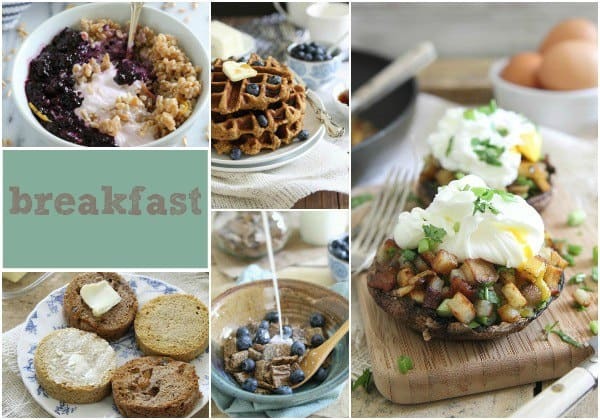 Breakfast, lunch, dinner, dessert (always!) 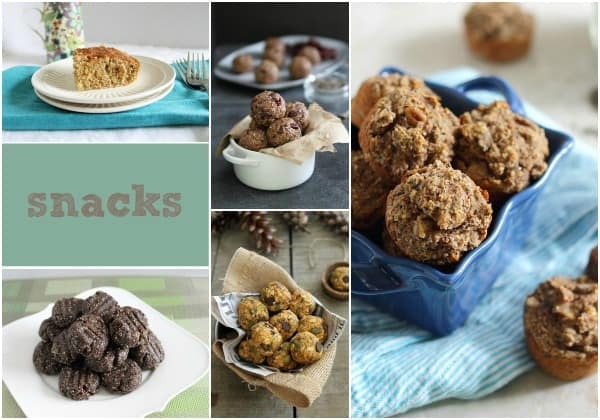 and snack ideas that all fit the healthy eating framework and are pretty easy and quick to make are below. Stick with it! Such a great, inspiring post! I totally get it!! I was in such great shape a few years ago, lots of spinning, running, pilates and yoga…I can’t even believe that it was my body lol. I need to find a picture and stick it on my mirror. Planning is huge too. So much more successful when I plan. Great post Gina!! PLAN! Yes! and keep the garbage out of the house. For me, this includes beer and wine. and I also chug water. this was just what I needed to read this morning! Awesome tips! I’m making your fudge paleo skillet brownie today – hopefully there’s still some left when my husband gets home from work! I’m right there with you on needing to get my act together this year. I definitely just let myself have a I’m gonna eat whatever mentality last year and now I’m not liking what I see in the mirror. These are some excellent tips and I really needed the reminder this morning! Great post Gina! I totally agree with planning. I’ll eat anything if I’m hungry enough, so I need to have the right things around when I get hungry. My planning also comes in the form of having some healthy things ready made. If I’m really hungry or short on time it’s nice to have something that requires little work before consuming. Oh girl this post speaks everything that I’ve wanted to share! Bo and I made some BIG changes 9 days ago and he’s already down 8 pounds and I’ve lost 4. The bigger thing is that are SLEEPING incredibly well and feel WONDERFUL! 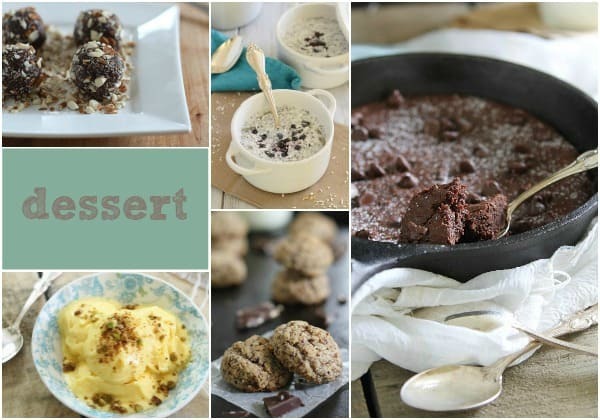 Thank you so much for these recipes and such a great post! I need to work on the planning part. I love to make soup, but I never finish it before freezing it. I should probably stock up on canned soups instead.